In the days before the Sony Walkman revolution, when everyone in a car had to listen to the same thing, our family was usually reduced to singing ourselves. That’s because, even though our car had a radio, we lived in the wilds of Africa and in those days there was next to nothing on the airwaves out there except white noise. The song resonated with us because, thanks to my father’s job, our family moved on average every 18 months. My parents have moved over 45 times, in 31 countries - and we offspring, only slightly less. So yes, we really did feel like wanderers! And if we ever dared complain that we were tired of being homeless, my mother would start humming this song. 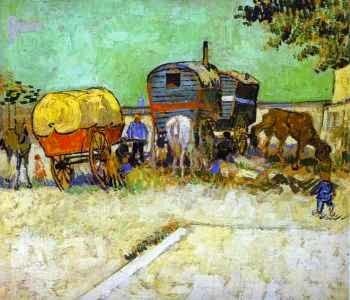 It’s true that we had to be ready to move with all our stuff at a moment’s notice, but we were never homeless. Mom used to say we were like turtles - as long as we were all together, we just took our home with us wherever we went. Even though - big surprise - my sister and I have both grown up and settled in small towns from which we have no intentions of ever moving, there was a lot of wisdom in what my mother said. Both my parents had lived through World War II in Europe, and lost pretty much everything but their immediate families, in which they were luckier than most people. So she knew what she was talking about. After all, what is it that truly makes a home? Surely, it is only the people we live with. The love that binds us. The meals we cook and eat together, the prayers and dreams we share, the songs we sing in harmony. Everything else - the perfect bathroom tiles we found after a year-long search, granny’s silver, the kids’ crayons that take over the house, my collection of Martha Stewart magazines that do the same … even the plants I tend with such devotion - it is all disposable or replaceable. If it were all gone tomorrow, we might be without a house but, as my mom used to say, as long as we were together, we wouldn’t be homeless. There was a wildfire in the hills across from our house two days ago, with only one row of houses between the swiftly advancing flames and our home. Our porch was covered in ash. So the question of what objects we would save if there was a fire isn’t exactly theoretical. For me, it came down to the external hard drive with all our family pictures and the USB drive where I keep the latest version of my novel-in-progress that hasn’t been uploaded to the cloud yet. Yes, I do love my heirloom quilts and decorating tips and lacy curtains and cushy chairs and my kids’ wooden easel in the living room, and I often write about people building their “dream home.” And yet, I know I’m blessed that my dream home is not one built of stone, but one woven of lives shared and loved together. While hoping the circumstances remain purely hypothetical for all of us - what items would your family grab if you had to take your home with you at a moment’s notice? 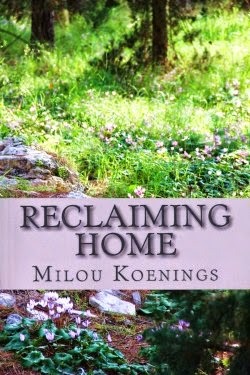 Her new release, Reclaiming Home, A Green Pines Romance, is available at Amazon and Kobo. You can find her on her website, www.miloukoenings.com, on Facebook, Goodreads or Twitter. What a lovely blog post, Milou! As long as I have my family around me, I can't think of any THING I couldn't live without. How scary! I'm glad things turned out for you. And kudos for making wise choices about what to save. It was pretty scary, actually - it was so fast and loud! We had a fire in our kitchen some twenty years ago. We had to run out with our PJs. I was grateful my family made it out safely. It's a fright I would never forget. It took three weeks to be able to return to the house. When you have those you love you have everything. Good thought about what is a home. Thanks, Milou.